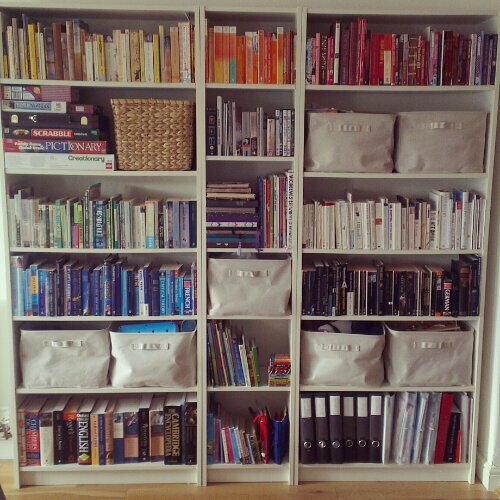 I know it’s not exactly innovative interior design, but I’ve been meaning to rearrange my books by colour ever since we shoved them on the shelves a year ago when we moved in. It’s not perfect but as a recovering perfectionist, I’m going to call it done. I think. This is officially amazing.Matt and I have just swooned. Thanks, Carys. I just managed to stop myself from trying to do it by shade!